"Sgt James Ward has been reported for harassment, phoning me on civil matters on your behalf, you have within your working environment a "legal officer" to make any formal request to prefer charges against me or any other member of the public that has cause to contact you regarding the theft of horses." Today I received another phone call from the police concerning your contact with your friend Sgt James Ward, if you are not able to defend your actions in stealing horses, breaking and entering land and buildings not belonging to the council then perhaps you should vacate your post. You are a public employee and therefore it is within my rights to make contact with you on matters that you are connected, now that your colleague Mr.Peerless, trading standards officer has confirmed that Mr. Cross is indeed the owner of all 38 horses and not therefore subject to the control of horses act 2015 and as it is proved beyond reasonable doubt that the council has no locus stan-di on the land and buildings you should attend to your unlawful actions and return the status quo. Sgt James Ward, your friend has been reported for harassment, phoning me on civil matters on your behalf, you have within your working environment a "legal officer" to make any formal request to prefer charges against me or any other member of the public that has cause to contact you regarding the theft of horses. "The horses must be returned back to Mr Danny Cross without delay at the cost to yourselves"
I have read your letter to Mrs.Michelle Brown and find your comments regarding advice given to Mr Cross, by me, coming from someone like yourself that cannot differentiate from a title deed and a land registry document, should you really be in office? As you re aware I advised Mr Cross and if you had taken time to reflect I stood by my accusations and counter claims and that of the council's corrupt actions so before you make another statement perhaps you should engage your grey matter before opening your gob. Since that day a lot of information has been gathered which confirms that your actions and statements shows the depths you are prepared to go, but yet refuse to act as mitigant solicitor to defend your colleagues and that is because to state in court your case will no doubt get you prison time because you would need to make false statements to the court through examination by me, it would be found that you never examined the commons register because you would be aware that you would need to alter statements because no evidence to show proof of ownership or even lawful occupation of the area of national parks common land was held by the council. There has also been two statements from your colleague at Trading Standards that there is enough evidence to show that Mr.Cross owns 37 of the stolen horses and soon evidence to show he will also be registered owner of the other horse and may now be returned to him. So your purported status as a solicitor is in doubt and that demands for your CV to be made publicly available is a necessity, my claims are of nothing but experience before courts from the High courts to Crown and magistrates to civil courts court papers are created by myself and defended by me so I stand alone and not like yourself using ratepayers money for your own agendas, not only do we have access to the legal framework we also have proactive rights also and all within the legislation which removing the blocks and other impediments from the fields and stables. The statements from the trading standards officer leaves you without any clothes on and that the horses must be returned back to Mr Danny Cross without delay at the cost to yourselves, as it stands at this moment in time our Barrister has a clearway from start to finish with demands for full disclosure of title deeds to which would have been disclosed to the land registry and copies of the register held by land registry in order to have the land registry document created, I have sited false representation on behalf of the council and collusion by land registry. Michelle Brown writes to Mr.J. Peerless Principal Trading Standards Officer. "I am requesting return of all horses / ponies, at your council expense. Also I ask now for the name of the horse, that received a broken leg, on illegal removal, Danny still does not know this information." I am an advocate forming a part of the legal team for Mr. D. Cross. With reference to your letter sent to him on 23rd November 2016. I am requesting return of all horses / ponies, at your council expense. Also I ask now for the name of the horse, that received a broken leg, on illegal removal, Danny still does not know this information. I expect 2 days notice, so we are at the premises to receive all. Plus I will be making a full examination of the condition of the above mentioned. Also, a few horses previously returned after court action have been cruelly treated and I require all information on where the horses have been kept and by whom. We wish to move soon as possible, so we can get the horses settled, vetted and back on the medication they require. I want to call an end to these unfortunate circumstances, a.s.a.p. Plus a list of all horses names & breeds being returned. We can accept a few at a time if thats easier for you, but all in same week. - We have consulted a Barrister in London, the aim is for full disclosure by the applicant council and rights under article 6 of the European Convention on Human Rights (ECHR). I was brought into this matter because of my experience in dealing with councils and charities that claim ownership of property, our open spaces such as common land which south-down park is and as such the land and buildings are part of the national parks. At this moment my challenge has gone out to council for copies of the alleged title deeds, these must pre-date Quo Warranto 1189, such documents would have been required for disclosure for the 1925 and 1936 lands registration acts, no such documents are in existence so the land could only be registered under the 1965 common registration act section 9, but as the land was dedicated as a national park, then the land is protected under the national parks act, for the 1965 act only commoners rights were registered, so the application by council was an act of fraud,false "representation" the council has no jurisdiction. Secondly, i have also challenged the land registry to disclose copies of the entrants from the council applicant to have a land registry document ESX 298006 created, as the application was not in line with land registry procedure "full disclosure" then the land registry colluded with the council, so we are on the high moral ground by following legislation passed by Parliamentary Bill and given Royal Assent. We have consulted a Barrister in London, the aim is for full disclosure by the applicant council and rights under article 6 of the European Convention on Human Rights (ECHR). The statement claims by supporters of Danny are that the horses were stolen, the 1971 animals act section 7 as amended by the 2015 control of horses act section 7 C does not apply the Danny's horses, anyway the council failed to comply with section 7 Ci and 7Cii, the police have agreed to keep out of the matters and in return the will not become involved when Danny re-enters the stables and field. There is now talk about the outrageous betrayal of democracy by Judges and common sense, the people and democratic rights over brexit, democracy was given a full airing when we decided to leave the EU, its in writing. I have been involved with Horseytalk for around 4 years fighting for democratic rights for access over common land and public open access land, the rights in question are of ancient route and on the definitive plan and statement, some are on private lands others are not, if there are rights in law, then we will fight for the preservation of those rights, these rights are also set down in writing, on the Statute book. passed by Parliament and given Royal Assent. This country is a mosaic of counties, but all are governed by Parliament, yes?, well county councils do not think so and go all out to enforce that they are autonomous and not subject to any public rights that will effect its plans for control, preference is that we all live in a goldfish bowl, well some of us do not accept the councils agenda's. Claims by local authorities and charities are of ownership of common lands and open countryside that applications to the Planning inspectorate for developments like enclosure by fences, gates and cattle grids to prevent rights from all points of view become severely impeded, consent is given because the planning inspectorate are not qualified to adjudicate on documents, so no documents to show ownership rights are disclosed, however, to avoid being seen as bias, the planning inspectorate put the ball back into the court of the applicant because the consent is only provisional. It is well known that I have been to many courts up and down the country in support of peoples rights, from high courts to lower courts, all with the same outcome,even colleagues have been with me and are shocked at the at the outcome, everyone has rights under the Magna Carta and also under Article 6 & 7 ECHR, those rights are refused each and every time, with comments from the presiding Judge stating, these matters are civil I am criminal, that should be enough for referral to the correct court, but no, the case is heard with out any defense and his judgement passed down, no solicitor will demand rights for his client if the matters include council or charities, there is a saying"they hang the man and flog the women that steals the goose from off the common but let the greater villain loose that steals the common from the goose", the thieves of public access rights in this matter are local authorities and charities. "I believe I was to accept the contents of the conversation as a mild "bollocking". Chief Executive, Brighton and Hove Council. Late last night I had a phone call from Brighton-Hove police station, I believe I was to accept the contents of the conversation as a mild "bollocking", it centered around the court action a few weeks ago and also my need to contact your colleague Jessica Hamilton. However, as the matters are civil and as the police wish to be kept out of this matter, to which I and members of the Stanmer Horse Rescue Centre agreed that no mention of police attendance would be part of the ongoing action being taken against Jessica Hamilton and Bailiffs, subject to that understanding the matter was brought to an end. It was suggested that a statement from yourself to show full support of your colleague Jessica Hamilton as she is not happy( according to the officer) and that of councils solicitor making complaints regarding my manner towards him, Geoff if he s a solicitor then why has he not taken action, anyway the "possible" suggestion was that as you are the CEO you should therefore shoulder your colleagues "troubles"? The officer asked for a progress of the issues so far, this I gave him, to include observations from the solicitor I engaged to see Mr Cross, it was noticed that "no record of the tenancy, no evidence that a deposit for the tenancy, no tenancy agreement, and no record of the fees paid, put that to the fact no titles deeds exist to the property because it is not freehold, puts your colleagues in a difficult position, and as was mentioned fraud. If then Geoff you wish to support your colleagues in this matter, please say so because the solicitor we saw yesterday is preparing the fore ground for a barrister. - HOW did the Police know Tony Barnett's telephone number? - WHY did Sgt James Ward intervene in a civil dispute not a criminal dispute? - UNDER what authority did he contact Tony Barnett? - IS THERE A SECRET LINK BETWEEN BRIGHTON AND HOVE COUNCIL AND THE POLICE? - IF SUCH A LINK EXISTS IS IT AN OFFICIAL LINK OR AN UNOFFICIAL LINK? "I am prepared to go to arbitration, but I'm also prepared to go to out right court action." On 19th of september at 1am in the morning my fields and stable yard located in stanmer park brighton were broken into by forced entry and all 38 horses and ponies stolen by GRC bailiffs of bristol on instruction from Jessica Hamilton head surveyour and senior in charge of stanmer park and surrounding areas. The reason for this theft was on the 1971 control of horses act amended 2015. The council say I was fly grazing without permission so they acted to take vacant control of my property which i was a rental tennant for almost 4 years. There was no court writ concerning this matter, I do have a bundle of papers that I have put together including exhibits of statements and pictures from all parties either involved directly or in-directly with this case. Since I have been a tennant with BHCC at the longbarn stables in stanmer park BN1 9PZ I have always been led to believe that the councils statements that it owned the land and buildings which I rented from them and where i made a place called home for my rescued horses,I was totally shocked to discover that they do not and never have owned the property out right. This discovery came to light when I contacted once again the team at Horseytalk who I have been in contact with for well over a year now with issues arising with the council and their agents, and have taken on board their broad knowledge and experience in such matters and followed their advice whenever given . I was passed over to Tony Barnett for a full enquiry into the claims and statements to be made on my behalf. 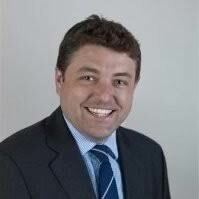 It was brought to light that the solicitor advising the council member Jessica Hamilton that the horses were in breach of the 1971 animals act as amended by the 2015 control of horses act, this solicitor Mr James Pavey, also stated that the council had good title to the land and buildings. Now as I understand Tony Barnett challenged James Pavey on this opinion to the council and accused James Pavey of negligence because he had not carried out a full search of the commons register, James Pavey from my understanding is now no longer involved. Mr Barnett applied for an FOI to BHCC, and the information he received from what I can gather and have been led to believe did not include the pre-registration of titles or the claimed conveyance document. In fact it was quite clear from the start that the judge sitting the hearing had not even read through my bundle of papers, which was obvious because he was not aware that it was a claim ( claim number C01BN017 ) and had to be reminded several times that it was in fact a claim for the return of all my horses and at cost to the council. In any case it was scratched because the judge wanted my claim put into and presented in a different format. The land/area is a national park ( South-down National Park ), and from my understanding the the land is also common land and is not freehold, the parks reserve all rights to apply for works and as it only has the land vested it cannot engage in any agreements or schemes, this is the same restraint put on the commoner's also. I have learned from Tony Barnett that land that is not registered under the statue Quo Warrant 1189 and was not subject to the lands regulation Acts 1925 and 1936, but is capable of being requisitioned for the growth of timber, or vast areas such as south-down National Park to prevent no mans land from becoming any mans land, and made into public access areas we now know as National Parks. Manorial Waste was also preserved under the 1965 CRA as section 9 of the act and is access from all points of view. My request is that the theft of my horses, was the subject of the false representations made by Jessica Hamilton, and the application for the land registry office who created the land registry document ( ESX 298006 ) plus evidence which the council applicant relied on, to be disclosed, as my horses were stolen using this land registery document ( ESX 298006 ). Now I am prepared to go to arbitration, but im also prepared to go to out right court action. "No court writ was obtained by Bailiffs GRC, but my security devices were damaged beyond repair during the forced entry. I wish to bring this matter to the attention of the court for a full examination under full process of the law." On the morning of 19th September 2016, 38 horses belonging to me Danny Cross were stolen from stables and fields I was using on the pre-text I was trespassing. A land registry document was disclosed by Jessica Hamilton, an employee at Brighton- Hove city council. Because I believe the document was applied for under false representation(2006 fraud act) and that the land registry officer colluded with the applicant in the creation of land registry document, I wish to bring this matter to the attention of the court for a full examination under full process of the law. The land on which my horses were at livery is not freehold, the land is vested in to the care of South-Downs National Park, all planning applications are set down in accordance with the National Parks procedures but it gives no other jurisdiction to form partnerships or other dealings. The National Parks have not sanctioned my occupation but neither has there been any discontent expressed with my occupation of the land and stables, indeed, it would be for the National Parks and or the commoners to have me removed through a county courts judgement. I must stress that no court writ was obtained by Bailiffs GRC, but my security devices were damaged beyond repair during the forced entry. Riders win right to take Council to Court. - very nervous and jittery and head-shy. I have raised my "surprise" and "concern" at her state with both GRC (Bailiffs) and Brighton and Hove Council and got what I can only regard as a rather fatuous response. As the mud was cleaned off, it became apparent she had a lot of cuts, scrapes, hairless patches and lumpy bits all over, and that she had acquired mud fever, particularly on her near hind, and a graze on her off fore knee. It also became apparent that she was eating her feeds very slowly and dropping a lot of food out of her mouth in the process. I wondered if she had had one or more teeth damaged. The stiffness has worn off and she is moving fine again, so I'm thinking she was stiff as a result of a long journey. I treated her eyes with Maxitrol eye drops (supplied by the bailiffs, who said they had been treating her since I told them she needed eye drops, c. 22nd September) and the regime I used to follow of cleaning, drying and applying vaseline to the bare skin under the corner of the eye. The eyes did return to a reasonable state quite quickly, which suggests they had been applying the drops, if not doing the cleaning/vaselining regime, and the eyes had been aggravated on the journey, possibly by a draught in the horsebox. She's getting used tothe process again and the head-shy-ness is getting better. The pink splodges have brushed out. applying purple spray to any remaining suspect areas and reviewing regularly. Her feet are being picked out regularly and are clean, dry and no longer smelly. An email from the bailiffs suggests that "many of the horses from Stanmer Park have lice" and that the raw patches may be due to rubbing because of lice itching. I have found no trace of lice (using Furminator and nit comb) and the raw patches do not have the look of rubbed itchy patches. I have not yet replied to this email! She is now generally calmer and less jittery. (She has also promptly come in season and been squealing and squirting at the gelding (we hope!) in the field next door.) She has also been tucking into her feed much faster and without displays of wariness. Not knowing where she'd been or what she may have picked up there, I've given her a wormer (Equest Pramox, as recommended by vet). She read and recorded her microchip number, and noted her whorls and other markings, and generally had a look over her, and didn't find anything else amiss. I didn't ask her for a condition report as such as I was more concerned with getting Chloe fit and well again than possible legal action. I don't know whether she'd be willing to do a condition report if asked, nor how much it would be - she may say she hadn't taken enough notes. I have raised my "surprise" and "concern" at her state with both GRC and B&HCC and got what I can only regard as a rather fatuous response. I can find and forward this. Chloe 3 days after she got off the horsebox from the pound. The purple bit on her back foot is gentian violet antiseptic spray on the last remaining bit of mud fever. Travel: she arrived in a trailer towed by a 4x4, with plenty of hay she hadn't yet eaten, but with just a headcollar and lead rope and no padded travel boots or any other sort of guards. This despite the fact I'd mentioned the subject of padded travel gear in an email and said I presumed that a professional horse transport company to whom I was paying that much would supply them, and we'd have to remove and return them, or would I have to send some? I raised my "surprise" over this too, and got the response that, since most of the horses they were involved with were strays/abandoned and basically "feral", may never have had boots on in their lives and it may be dangerous to try to put boots, etc on them, the hauliers' policy was not to. I take their point when they are picking up really "fly grazed" abandoned horses, but this was hardly the case here, and I'd already mentioned the subject! I haven't yet replied to that email either. She doesn't appear to have got any injuries from the journey, only got a bit stiff in the trailer for a long time. Your Honour, I am a member of the Stanmer Horse Rescue Centre and my part was the search for evidence in this matter. Searches on the ownership of the land from which the horses were taken have yielded no ownership to either land or buildings documentation but here is hearsay. Examination of the legislation prepared by Parliament and given Royal Assent of the 1971 animals act as amended by the 2015 control of horses act does not provide guidance for the removal and detention of horses not prairie grazing. All 38 horses were on land which is part of the South Downs National Park, this land is not freehold, and it has never belonged to any demesne lands of a lordships Manor, the National Parks have stated that it does not own the land. Therefore I wish to submit that opinion by Mr Pavey, solicitor of Irwin Mitchell, misled his client/s Mrs. Jessica Hamilton on both the ownership of the land and buildings, and also the legislation on the control of horse's act 2015. Mrs. Hamilton has no excuse for her decision to engaged bailiffs to remove the horses because the 2015 legislation is available to all members of the public and local authorities do have copies of all parliamentary bills that have been passed and given Royal assent. Security/Bailiff establishments also have a duty to examine all contracts before accepting, so I also wish to submit that voluntary ignorance by GRC was more important than examination of facts. The detention of the horses I submit is unlawful because the removal of the horses on the pretext that they were on council land was false representation albeit subject to the opinion of the solicitor that had been negligent in his duty to a client. Those are the facts but in skeleton presentation. The application before this court your honour is that the property/horses are returned to the owner Mr Danny Cross, I have with me evidence that will show that the owner is indeed Mr Cross, the evidence is in the form passports and written statements from the previous owners. Claims by Jessica Hamilton and GRC is that the passports have been made useless, and it is the rights of GRC to sell back the horses to the original owners and that the owners sign an undertaking not to allow the horses to return to Mr Cross, if the horses were returned back to the lawful owner they would be shot. It is understood that the horses are the responsibility of the council and that food and shelter was paid for on directions from Mrs Hamilton and the return of the horses would also be on directions from Mrs. Hamilton. Two horses have been sold by GRC back to the previous owners, one for £900 and the other for £700 +vat, livestock does not command VAT, but on whose instructions have the horses been sold, and without the passport belonging to that horse and who has benefited from the sale? 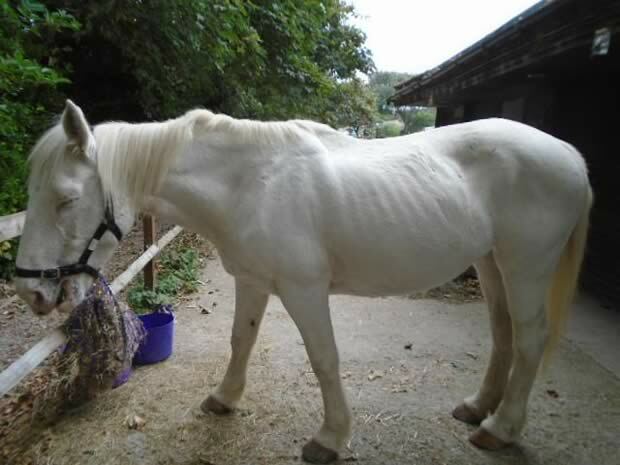 The second horse sold is in a terrible state having lost half of its body weight and is in desperate need of medical attention not received whilst in detention. I have asked the CEO Geoff Raw to take the lead in this matter, no proof of ownership was provided subject to my application for an FOI, and South Down National Park will not become involved only to state that they do not hold and documentation to show council ownership. The police have no information that the horses were being taken as is required under section 7(C) of the 2015 control of horses act. I submit to this court your honour the police would not become involved unless the bailiffs had a high court writ of control, which the bailiffs did not have, so the police could not help the bailiffs. I ask this honourable court to make the order that the horses are returned in order to receive the medical attention they have been receiving whilst at the rescue centre. I am now in receipt of two statements from a lady who had to pay for the return of her horse, one on the conditions set out by your colleague, more like a threat and one on the condition of her horse which is now under veterinary supervision, this is from a democratic caring council, others are to follow, these will be shown to the court on Monday and in the preempted court hearings to follow. This woman (JESSICA HAMILTON) is a menace to the public and animal welfare, it would seem that she has power far to big for her capabilities in that she has created a new Parliament to overthrow Parliamentary bills and to create her own on public rights. Without the title deeds they have no right to evict the riders and steal their horses We still want the pre-registration of title deeds"
Thank you for your response complying with my FOI request. However, this information is useless and as I stated during our phone conversation that I only required the pre-registration of title deeds,which have not been included. As we are in court Monday next 24th which I suspect is for directions it will be at that hearing that the pre registration documents to show ownership of the land at the centre of this court action to be disclosed, this document will be/show ownership has been proven and does comply with the conditions as indicated and is subject to Quo Warranto 1189, evidence that the area of land was registered under the land registration acts 1925 and 1936. As the area is part of South Downs National Park, which is not freehold and is held in trust(vested) by SDNP, then it is common land and holds commoners rights, the National Parks holds no information on your alleged ownership or of lawful occupation. An application under article 6 ECHR will be lodged for persons applying for the land registration to be created and for the presence also of the land registry officer that created the land registry without full disclosure. The information provided by Brighton and Hove Council in response to the Freedom of Information request made by Tony Barnett. Reference FOI6970 does not give the recipient an automatic right to re-use those documents in a way that would infringe copyright, for example, by making multiple copies, publishing and issuing copies to the public. Firstly i would like to clarify that since the illegal removal and theft of my beautiful horses/ponies i have had no official clarification from either parties, BHCC or the GRC bailiffs, or the BHCC agents smithsgore/savilles that they have my horses all i have to go on is the laminated poster put on my gate which has no reference number or even a telephone number to contact anyone, only an email address that can only receive emails between 9am and 5pm mon to fri. The only information i have about my horses is from the press statements released to the public from the council which everyone is slightly different and contradicting! I have read on the article printed by brightonandhovenews.org that 15 horses have been given back to their owners? 1 bay mare shot? and 23 remain unclaimed and their future un certain? all of this is utter crap as i have claimed for all 38 of my jhorses/poniers and nothing has even been acknowledged. I think lesleyt davies sent you an email with the attchments from Bruna honeys old owner showing the harrassment and bullying tactics from the agents smithsgore/savilles from Guy Streeter? So why are they saying in all their statements they are making that the horses were taken because i owed rents, etc etc, when clearly the only reason they were taken was this act 1971 as amended 2015 which does not apply, after 31/2 years of rental tenancy they know the horses were owned and by whom owned them, and had all my contact details so this is just theft. Another stables livery yard about 1 mile from stanmer park in falmer at the same time of my eviction from the same council, the same council officer jessica hamilton and the same agents from smithsgore/savilles Guy streeter and Edward Daniels were also after over 20 years of tenancy were given the same eviction notice and i have found out via one of the posts on stanmer horses website that the council also refused to accept their rent once the eviction notices had been issued, but they were lucky as the council had not publically slandered them and ruined their character so they had been luckily enough to find new premises and remove thier horses, and the premises they moved from was then sold for twice the market value on rightmove. The same council officer jessica hamilton and the same agents from smithsgore/savilles Guy streeter and Edward Daniels were also after over 20 years of tenancy were given the same eviction notice and i have found out via one of the posts on stanmer horses website that the council also refused to accept their rent once the eviction notices had been issued, but they were lucky as the council had not publicly slandered them and ruined their character so they had been luckily enough to find new premises and remove their horses, and the they moved from was then sold for twice the market value on right move. 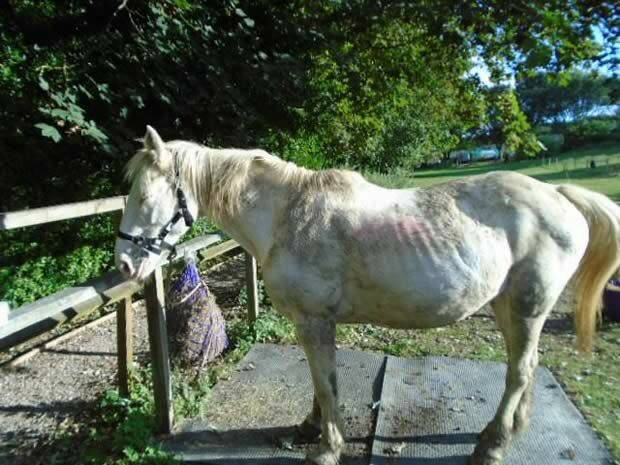 her name is Leah Ingham on facebook maybe find her and message her or even check her comments on stanmer horses fb page in the comments boix under the heading rspca confirmed at the bottom of this article with a link to the artickle in the brightonandhovenews.org post. It seems the council are contradicting themselves. I spoke to Jessica Hamilton and she advised me to contact GRC bailiffs this has been done with proof of ownership with the horses. The GRC have emailed me and told me this matter is now in the councils hands, there has been no communication with Mr Cross because they are refusing to speak with him, there is only a email address for GRC bailiffs so communication is fruitless. 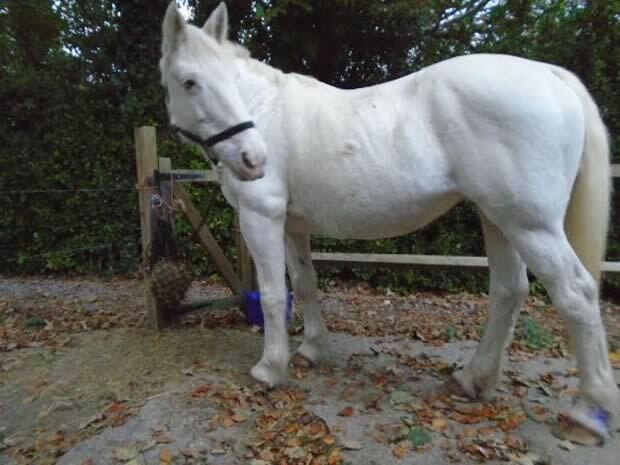 The council have made a statement that a mare has been put down and many have been rehomed. Please see brighton and hove news.org. The rspca have also made a statement that there has been no welfare issues of the horses and they have not been involved or backed the council in this matter. 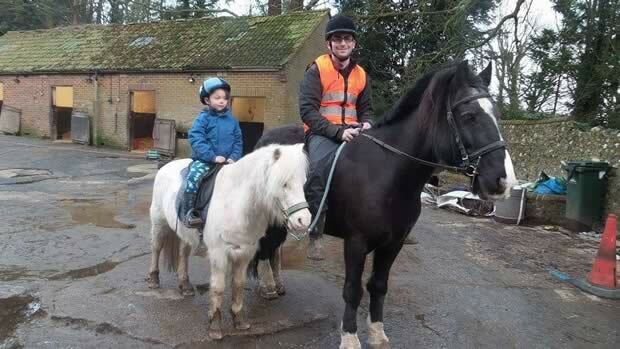 Ty having fun with Jacob the shire, dont those horrid people realise what's it doing to people lives! Under the heading of straying and illegal grazing notice, horses from Long Barn Stables were removed(stolen) claiming that the 1971 animals act as amended by the control of horses act 2015. Section 7 is the section used by the Bailiffs on directions from Jessica Hamilton of the council,the advice was given to her by solicitors that to use that act and sections was the lawful way to proceed, 7 A, is the powers of the local authorities In England to detain horses which is in any public space/area, if the conditions in sub section (2 )are met; that the has reasonable grounds for believing that the horse is there without legal authority(we will come to that later) and if the land is lawfully occupied by a person (i) that person consents to the detention of the horse, or(ii) the local authority has reasonable grounds for believing would consent to the removal. Section 7 B this section gives Powers to freeholders and occupiers to detain horses, under sub (1) is where horses are on land without lawfulAuthority can be detained. 7C Detention of horses under section 7A 7B, (which are not applicable) a right to detain a horse/horses ceases at the end of the period of 24 Hrs beginning with the time when first detained unless, within that period, the person detaining the horses gives notice of the detention to an officer in charge of a police station. I have written to the deputy Chief Constable Bernie O'Reily for his comments on a serving police officer PC Richard Hall was in situ when the horses were stolen and criminal damage was caused, there has been no comment so far. The claims that Brighton-Hove council own the land and were correct to take the low life action it did, I have also written to the CEO Geoff Raw for his comments on the low life actions of his colleague Jessica Hamilton, as of yet no response, further my application under the 2005 FOI has been forward to the council for copies of title deeds to pre-date Quo Warranto 1189, the verbal statement from that council is that they hold a conveyance and a land registry document, neither give proof of title, so if we look at the actions of the council and the wrong advice from the outside solicitor acted upon the council cannot prove what it claims, so the detention of the horses and the removal of the owners/carers of the horses was not the councils remit because it has no jurisdiction. The tenancy agreement then is /was unlawful, the bailiffs should have had their solicitors to examine the claims before taking the contract they are just as guilty as the council, it can also be claimed that the PC could also face a charge of complicity. Suggestions that I make a formal FOI for copies of pre-registration of title deeds that show Quo Warranto 1189 to show ownership of the long barn stables are held and were disclosed to have a land registry document created, if evidence to show that they do predate quo warranto 1189 then the property would have been registered under the land registration acts 1925 and 1936. The farm and buildings, situated where they are could show ownership was by a family with commoners rights and as such he/she may not agist or allow any other than a commoner to use the rights so registered to the property. "This act was taken without examining the facts and full meaning of the acts quoted because owned horses either with passports or rescued from unacceptable conditions were nevertheless owned and in the care of Mr.Danny Cross"
Geoff. May I ask that you do become involved with the situation of long barn stables and the unlawful removal and detention of the 38 horse taken from those premises. The act was taken without examining the facts and full meaning of the acts quoted because owned horses either with passports or rescued from unacceptable conditions were nevertheless owned and in the care of Mr.Danny Cross, also, will you please look at the manner and time in which the horses were removed, the time 1.am of that morning, also will you also examine that if, the motives/actions by Jessica Hamilton was lawful, by which I mean, the horses were strays and subject to the 1971 animals act which has been amended by the control of horses act 2015, but more so that the horses were on council owned land, I will state that neither consideration was taken because the council has/had no jurisdiction. The solicitor used Mr Pavey has been challenged as he was the solicitor recommending the use of the afore mentioned acts, this solicitor has not the command of either, neither of conveyance or of the Westminster statutes, of which I do. The horses are held at the yard belonging to the bailiffs and as the council is footing the bill for the taking, detention and feeding and in the end will be returned to the owners/carers all at the cost to the tax payer. We are completing a court order form for the attention of Brighton County Court for the return of the horses which will be returned from whence they were unlawfully taken at no cost to us. May I submit to you a more simple solution and that is that Jessica Hamilton makes an application to the same court for an injunction against Mr Cross, this of course will mean full disclosure from all parties. "Our occupation will remain as of right, and not as custom, or illegal occupation until, an application to Brighton County Court orders otherwise, or until those with rights vested make an application to the courts for an injunction." It has been decided by the rescue centre admin that it intends to remain on the site after the property (horse gear) has been removed, this will be to repair the buildings and fences ready for the return of the horses. Claims by yourself of owners rights to the property will be challenged under the statute Quo Warranto 1189, (by what warrant do you own the property), disclosure of proof will need to pre-date the afore mentioned statute, until full disclosure has been made our occupation will remain as of right, and not as custom, or illegal occupation until, an application to Brighton County Court orders otherwise, or until those with rights vested make an application to the courts for an injunction. I am a member of the sanctuary/rescue centre, therefore I was elected to write this email. I am responding to your statement re the lawful removal of 38 horses, from long barn stables, occupied by Mr Danny Cross, I do not say legally occupied, but then again the council does not have legal occupation, or rights to make grants of easement either. The grant of easement, a tenancy, given by Brighton-Hove city council, until disclosure is forthcoming under my FOI application , may be described as Mortgage fraud, using property not belonging as collateral, ie, demanding payment for the occupation of buildings and land, which is part of the South Downs National Park, Common Land at Stanmer village, a public amenity, any rights of occupation therefore is for the courts to make judgement, and not for anyone without jurisdiction, Brighton-Hove city council. Court order forms are now being completed to be handed to Brighton County Court, a copy of which once stamped will be forwarded to the named person, Jessica Hamilton, GRC. Your statement is a bias one as all statements by councils are when defending colleagues, same as in any company or service, so you should not be surprised when Joe public states that the council is corrupt, that is the result of evolution of council members/officers. Now that you have brought your thoughts into the public domain you will be asked to explain in more detail your experience in such matters according to law, application for full disclosure and witnesses under article 6 ECHR is part of the court order form being created this week. "I have drafted papers to Brighton and Hove county court for directions, which I would wish to see go before a circuit judge for a full hearing"
I wholeheartedly urge you to bring my emails out into the public domain for examination, but no doubt all matters relating to the theft of horses allegedly under the 1971 amended act 2015 control of horses is a matter for the public to decide up on, however, I have drafted papers to Brighton -Hove county court for directions, which i would wish to see go before a circuit judge for a full hearing, this will include my application that article 6 ECHR will be implemented. You and your committee may wish to add your voice to support your letter in court? court papers will be sent directly from the court to Jessica Hamilton and GRC, I will be speaking for and on behalf of the people distressed by the theft of the horses from land and buildings that Brighton-Hove have no jurisdiction over, as for being "stakeholders" that too will be examined as the whole area is not freehold and is in fact common land, statements from Southdown National Parks is that they do not own any of the land, meaning that the staff have no power to make deeds of grant or grants of easement.